Winter holidays are approaching fast and we wanted to remind everyone that ski holidays company SNO is still offering an exclusive 5% off discount code for all Head for Points readers this winter which can be used on a number of great chalet deals they’re currently running. 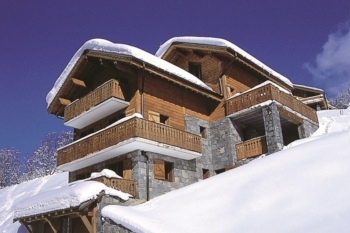 SNO has thousands of chalet holidays to the Alps and America and a lot of packages come with incentives such as half price lift passes, free lift passes and 2-4-1 ski equipment rental deals (valid with the Etoile des Neiges in France pictured below). Head for Points readers can claim a 5% discount from the brochure price of holidays using the code SNOHFP. You can find all SNO chalet package deals here and the phone number to book and claim your 5% discount is 020 7770 6888. Long-term HFP readers may remember that I reviewed the brand new InterContinental Ljubljana in Slovenia last November. Not only is this an exceptionally good hotel – the first ‘international luxury’ hotel in the city – the city also turned out to be a very attractive place to visit (a photo of the old town is below). The only problem at the time was the lack of flights from Heathrow. This has now changed. 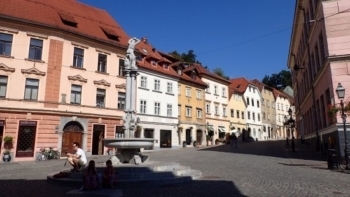 British Airways announced yesterday that it will run a Summer service to Ljubljana in 2019. Unfortunately it is a very limited season. Flights will only operate on Monday and Friday and only between 15th July and 2nd September. They are bookable now at ba.com for cash or Avios. My review of InterContinental Ljubljana is here. The second new British Airways service announced yesterday was the (re)launch of flights to Montpellier in France. This is also restricted to the school holiday period. Flights will run four days per week, on Mondays, Thursdays, Fridays and Saturdays, from 15th July to 2nd September. If you are planning an upcoming stay at a Radisson Blu, Radisson RED or Park Inn, you can earn double Radisson Rewards points AND double status credits until 28th December. This is especially interesting if you are close to earning or retaining your status. The snag is that it only applies to ‘premium’ rooms. These are defined as Studio Suite, 1 Bedroom Suite, Premium Room, Superior Room, Executive Suite or Junior Suite. As a Superior Room is often just one level higher than a standard room, this might not be as much of a problem as you think. You can find details on the Radisson Rewards website here. A unique opportunity to use London City's First Class Lounge - and be driven to your plane - for FREE! OT: My Heathrow Rewards bonus points have posted for 2 Heathrow Express transactions I made on Sunday. 259 points each with 250 promotional and 9 standard. Great, I thought they would post the bonus later but clearly not. OT. I’ve used Tesco club card points for a 60 GBP uber voucher. Ive now got the code for the uber voucher. I havent added the uber voucher to my uber app yet. Also, does the uber credit expire? What happens if my journey is under 60 GBP. Does the balance remain in the account for a further ride? Uber credit doesn’t expire. T&Cs on Tesco cc haven’t been updated IIRC. When you take a journey your gift card balance just reduces until all used up (until final journey when it’ll be part gift card part credit card). Magic, thanks Genghis. Just what I wanted to hear. Just remember the credit only applied for UK accounts. When using the app it will appear it is charging your card – in the UK it will use up any credit first, abroad it will use the card regardless of the credit. Shop Small – the SS ‘saved to card’ proof has disappeared from my online a/c on my Gold Card. I already got a £5 credit on a pub & I know I saved it. My visit to a local chippy on SS did not prompt a success email – I wonder if this is the reason? What a mess. Same as me. Amex Chat just confirmed there’s intermittent issues. The disappearing/reappearing happened last year and probably previous years too. I have had credits for transactions which did not trigger emails. Reasons for no email include using touch rat than PIN and shop using certain collection systems e.g. CardSaver. I have a taker if you email me. Today I read the news that Amex Centurion lounge is coming to LHR T3. Sounds really exciting. Any idea when exactly it will be opening? Not clear if you need a Spanish or US address for it to price.